At last! 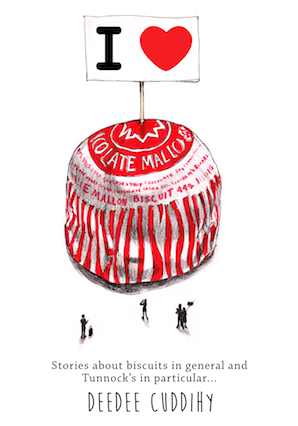 A book that celebrates Scotland's passion for biscuits in general, and Tunnock's Tea Cakes in particular. More biscuits are eaten in Scotland than anywhere else in the UK. 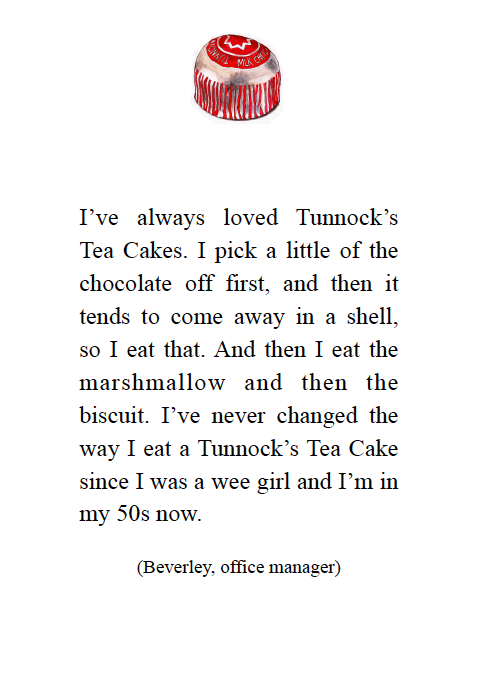 And our love of Tunnock's was demonstrated to the world when a troupe of dancing Tea Cakes took centre stage at the opening ceremony of the Commonwealth Games in 2014. Having previously focused on Scotland's obsession with Irn-Bru, Glasgow-based journalist Deedee Cuddihy has now turned the spotlight on the nation's weird and wonderful biscuit eating habits. If I'm not in company, I'll lick all the chocolate off a Tunnock’s Tea Cake, then eat the mallow filling and, lastly, the biscuit base.